If you’re wondering what virtual assistant services to offer in your new VA biz, I’ve got some steps to help you figure out the best ones for YOU. Opening up a VA business (or any solo biz) is an exciting and overwhelming time. There’s lots to get set up, lots of work to do, but first things first, what do you even want to offer your clients? What type of VA do you want to be and what will your future clients be looking for? Start with a skills audit. Grab your notebook and a pen! Write down all of your previous jobs. Make a list of skills you learned on the job. Start listing strengths (anything people have told you you’re good at in the past or that you have training in). It does not matter in the least if it’s directly connected to your business yet. You’d be surprised by the transferable skills you have once you go through this process. Know Thyself (But don’t get boxed in). 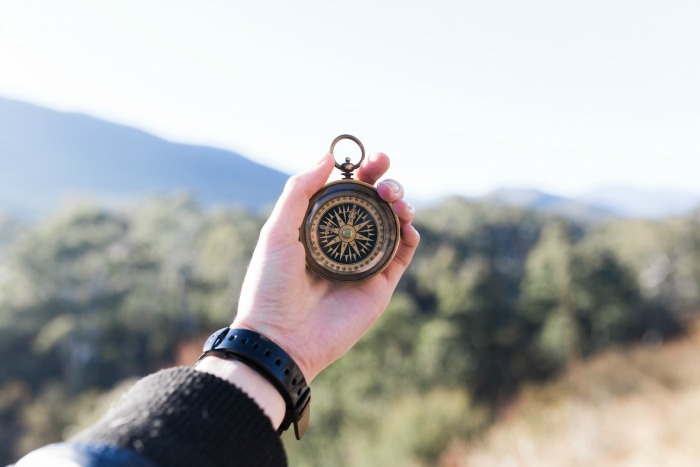 If you’re feeling a little stuck, try taking some free tests, such as How to Fascinate, Enneagram, or this one based on Myers-Briggs. I recommend reading Strengths Finder 2.0 and taking their test. I don’t think these tests can capture the whole picture, but they can provide some insight into the strengths and skills you’ve already cultivated. These can help a lot when you feel unclear on how you work, but don’t take them too seriously! If you get a result that feels wrong or suggests work that sounds horrid to you, just chuck that part, I think. It’s your journey and they’re just tools. Now that you have some idea of where you’ve been and your natural abilities, it’s time to make a big list of what you want to do. Don’t just offer services because you can do them. This is your business and your life and you have to do this thing day in and day out. For example, I’m very good at transcription, but you know what? I seriously can’t stand doing it. There are people out there who love it and I’ll leave that work to them. But you know what I love doing? Making fun graphics for social media, playing with WordPress, and learning new tech & automation tools. And there are plenty of people who HATE that stuff are willing to pay me to help them. List out all the things you think sound interesting, industries you already enjoy, skills you admire and think you might like, as well as skills you’ve just heard about that sound intriguing (even if you know absolutely nothing about it). Whatever feels exciting to be able to do or be. 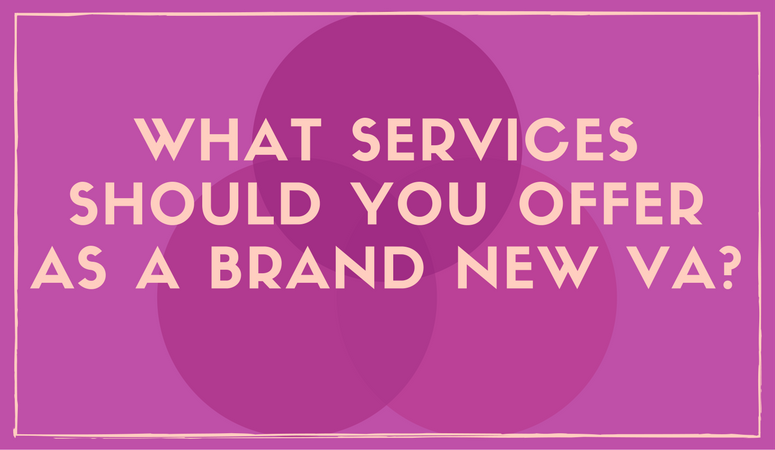 Take a look at your first list and your second to start to define your first few services. Don’t try to do it all right out of the gate. Did you (or do you) work retail and love nature? If so, and you enjoy working with people, then customer service for green business is a great service to offer. Sick of dealing with the general public but love organization? Offer a digital file organization service or blog cleanup. Don’t think people will pay for that? You’re wrong! What seems easy to you is hard for others. Once you’ve done some brainstorming with your lists, figure out one or two services you’re most excited about, fill in any gaps in your education by watching tutorials or taking classes, and start advertising ASAP! These lists should help you start to form your first few virtual assistant offerings. My goal here is to help you unearth the services that will bring you the most joy and satisfaction so you and your business stick around happily for quite a long time. Want more help? Sign up for my VA Services Vision Quest right here. Let’s keep the conversation going! 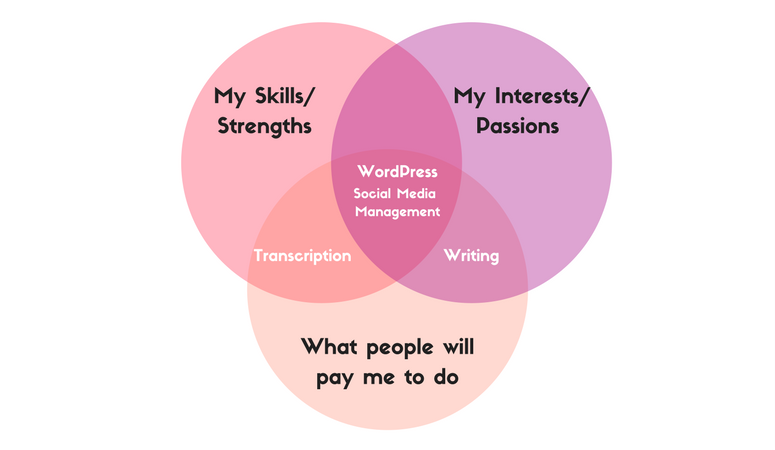 Are you a virtual assistant or a service-based solopreneur? How did you decide on what virtual assistant services to offer? Where did you learn the skills? I’d love to hear about it in the comments. I am going to share this with a friend who is planning to start a VA business. I know she will be great at it, and I am going to share this post with her. I know it will be really helpful to her!